Maire Nawaz, FMB (second left), is presented with the Best Marketing Campaign Award by (from left) Stephen Clements, Q Radio; Peter Craven, Bluesky Video Marketing, and Cate Conway, Q Radio. The FMB won the ‘Best Marketing Campaign in the Construction, Engineering and Manufacturing Sector’ award at the Chartered Institute of Marketing (CIM) Ireland Awards. 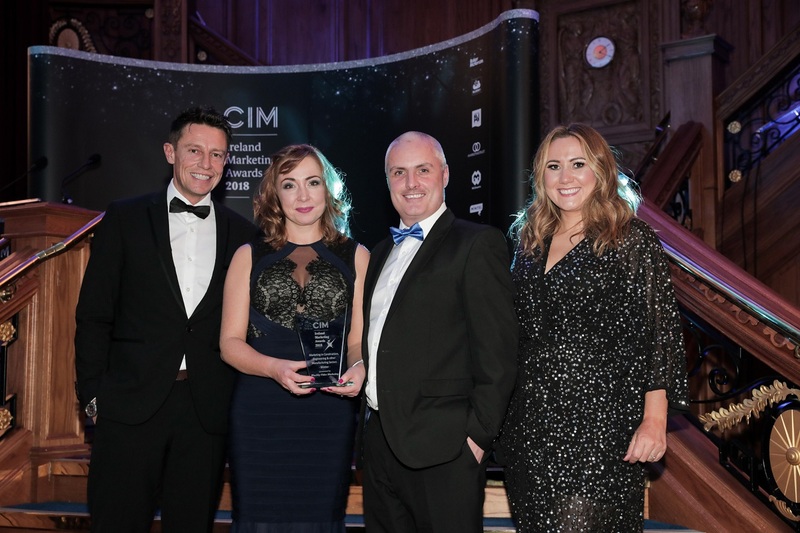 The CIM Ireland Awards recognise excellence in the field of marketing and the announcement was made at a high-profile ceremony at the Titanic Belfast on the evening of Friday 9th November 2018. Maire Nawaz, the FMB’s Sales and Marketing Director, said, “We are thrilled that the ‘Build better with a Master Builder’ TV campaign has been recognised through this prestigious award. 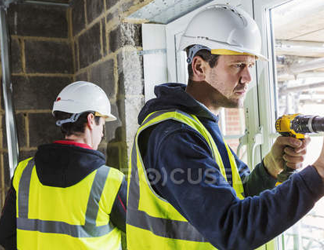 The campaign was delivered as part of an integrated marketing campaign and installed a tactical mix of activities to reach our two key audiences – builders and home-owners.